Playing the state lottery, and frequenting casinos, have become prominent pastimes for millions of Americans. More and more people are participating, in the hope of becoming millionaires. While there have been a few exceptions and isolated cases in American history, it is really only recently that gambling has come to be considered socially acceptable. Though times have arisen when gambling became more widespread, overall public sentiment has frowned upon the practice. Gambling generally has been illegal in our society, and the word “gamble” was a slang term of reproach. People in polite society, who held virtuous and moral convictions, viewed gambling as an unacceptable, inappropriate, even sinful vice. Those who engaged in such practices were seen as the degraded elements in society who served only to weaken social sensibilities. The first modern state lottery was established in New Hampshire in 1964, while Nevada legalized the nation’s first casino in 1931 (“Indiana…,” 1998). The extensive opportunity of gambling activities did not capture the American public’s attention until the 1970s and 1980s. Now, however, horse and dog racetracks and casinos have sprung up all over the country. Several state governments now sponsor lotteries, complete with massive advertising campaigns. In 1988, the Federal Indian Regulatory Act opened the door to widespread casino development throughout the country. By 1993, riverboat gambling had been established in six states, and land-based casinos were legalized in several additional states. Gambling has become normalized across the nation, and various gambling activities are legal in all states except Hawaii and Utah. In 1995, more than $500 billion was legally wagered in the United States—a dramatic increase from the estimated $17 billion wagered in 1979, less than two decades earlier (“Indiana…”). In Matthew 7:15-20, Jesus Christ laid down a test by which every activity or philosophy could be assayed, and its true value assessed. He said, quite simply, that “every good tree bears good fruit, but a bad tree bears bad fruit. A good tree cannot bear bad fruit, nor can a bad tree bear good fruit.” Jesus’ statement was addressed specifically to false teachers, but it certainly can be applied to various philosophies and activities of life (such as gambling). What kind of fruit does gambling produce? When legalized gambling arrives in a new community, does it raise the moral standards of that community? Does it help to lessen the hardships of families in that community? Or, is the opposite the case? Does legalized gambling place a burden on the communities by an appreciable lowering of the moral standard and an increase in the financial burden for those who already are working with a poverty-level budget? Let’s take a walk down the gambling produce aisle and see what it has to offer. The social effects of gambling have been substantial. Current data indicate that more than 80% of Americans participate in some form of gambling (Lesieur, 1993). Johns Hopkins University researchers reported that the social cost of excessive gambling “ranks among the most expensive illnesses afflicting society, though it is among the least expensive to treat” (Politzer, et al., 1985). In the late 1980s, the National Council on Compulsive Gambling estimated that between four and six million gamblers are suffering from an addictive disorder that threatens their lives and the lives of their loved ones (Chamberlain, 1988, p. 37). Now, gambling researchers say that at least eight million Americans are compulsive gamblers, with one million of these being teenagers (Chavira, 1991, p. 78). A survey of 500 Gamblers Anonymous members reported that 21% of the participants stated that they had never thought of suicide, 48% said they had thought about suicide, and 13% had attempted suicide (Frank, et. al., 1991). According to the Charter Hospital of Las Vegas, the suicide rate among active gamblers (especially women) is the highest of all illnesses (see Charter Hospital, n.d.). Would anyone classify a highly addictive activity that often results in the participant’s contemplation of (or attempt at) suicide as a beneficial fruit that is good for society? On the contrary, such can easily be recognized as a rotten fruit that would suggest that the activity itself is not above reproach. An affluent 16-year-old male from an upscale suburban neighborhood reported he had lost “a considerable sum of money” on the lottery. Realizing he was under the legal age to buy tickets, he had asked older friends to purchase tickets for him. He admitted to heavy gambling in school restrooms. A father of a 19-year-old from a rural town in East Texas was distressed because his son was gambling on cards and dice and had spent his weekly paycheck on the lottery (“Teenage…,” n.d.). The director of the National Center for Pathological Gambling made this apropos observation: “You have state governments promoting lotteries. The message they’re conveying is that gambling is not a vice but a normal form of entertainment” (Chavira, p. 78). Just the fact that there is a “National Center for Pathological Gambling” should clue every legislator into the fact that there is something wrong with this type of activity. In 1957, Gamblers Anonymous was formed, and has since grown to more than 800 chapters in the U.S., and more than 1,400 meetings worldwide. The experts are comparing compulsive gambling to alcohol and drug addiction. The official position of Gamblers Anonymous is the promotion of abstinence from gambling as essential to a person’s recovery. As one might expect, their strongest and most active group is in Las Vegas. David A. Korn, in an article titled “Expansion of Gambling in Canada: Implications for Health and Social Policy” in the Canadian Medical Association Journal, noted that gambling often affects the lower-income families more dramatically than those of higher income, due to the fact that lower-income families spend almost four times as much on gambling (in proportion to their income). Korn wrote: “These data suggest that gambling expenditures may be regarded as a voluntary regressive tax that has a proportionately greater impact on people with lower incomes.” He further noted: “Several populations are vulnerable to the impacts of gambling, in addition to lower socioeconomic groups. The cost to families in terms of dysfunctional relationships, violence and abuse, financial pressure, and disruption of growth and development of children can be great.” In concluding his article, Korn commented: “The rapid expansion of gambling represents a significant public health concern that challenges our values, quality of life and public priorities” (Korn, 2000). A dramatic change in the social order of American culture has taken place. As the moral fiber of American civilization deteriorates and biblical values are jettisoned, activities that once were perceived to be harmful to society are now becoming acceptable. Many people no longer care what God thinks or what the Bible teaches. Nevertheless, there is a God in heaven who has given His written Word. That revelation is designed to govern human behavior. One principle that runs throughout the Bible is that of stewardship. The Bible repeatedly and consistently paints the picture that God is the ultimate owner of all earthly possessions. The psalmist observed that the Lord owns the cattle on a thousand hills (Psalm 50:10). James wrote that every good and perfect gift comes from God (James 1:17). Jesus referred to humans as stewards—those who are entrusted to take care of another’s property (Luke 12:42). And He declared that every person has the moral responsibility to be a faithful steward of the money that has been entrusted to him (Luke 16:10-11). Yet, each year people shell out billions of dollars gambling away the money that has been entrusted to them by God. Imagine the good, wholesome projects that could be supported annually by such enormous stores of cash—children could be fed, the Gospel could be preached, houses could be built, and the list goes on. Instead of such worthwhile projects, however, these billions of dollars are pumped into a system that leads to addiction and abuse. It would be difficult, indeed, to conclude that gambling is good stewardship of the money with which God has entrusted a person. In reality, to pour one’s money into a system that mathematically and statistically has been proven, time and again, to benefit the “house,” and take from the gambler, certainly would fall into the category of unfaithful stewardship. Concerning unfaithful stewardship, Christ said: “Therefore if you have not been faithful in the unrighteous mammon [money or riches], who will commit to your trust the true riches” (Luke 16:11)? To stand before the throne of Christ, having squandered the money God entrusted to you on an idle and degenerative activity like gambling, would be a frightening thought indeed. Furthermore, imagine the potential negative influence of a Christian who participates in gambling. For one thing, many people, who are not even affiliated with the Lord’s church, view gambling as a sinful vice that respectable people should avoid. Looking over the fruits of gambling, it is not difficult to see why they would think such. If they saw a Christian in a casino, or buying a lottery ticket, what would that do to their opinion of that individual and the congregation of the Lord’s body of which that individual is a member? Would it not drastically reduce the chances of that Christian having a positive impact on the one who saw him gambling? Certainly, the Christian is responsible for the image he or she portrays, and for how “those who are without” view his or her actions. Paul told Timothy, for example, that a bishop (elder) “must have a good testimony among those who are outside” the body of Christ (1 Timothy 3:7). If many people outside the Lord’s church view gambling as a morally reprehensible activity, and a Christian participates in that activity, he or she would have a difficult time explaining how such could be good for his or her reputation. Furthermore, as Colossians 3:17 notes, “whatever you do in word or deed, do all in the name of the Lord Jesus, giving thanks to god the Father through Him.” It is not enough for a person to ask, “What is wrong with an activity?” Instead, the question actually should be phrased: “What is right with this activity?” The burden of proof falls on each individual to show that what he is doing has a positive, encouraging effect on himself and on others. One would be hard pressed to find any evidence that would classify gambling as something that could be done “in the name of the Lord Jesus.” In fact, when Christ returns, what person would want the Lord to find him in a casino? Gambling is first and foremost a moral issue. There was a time in American society when the majority of people considered such things as lewd dancing, drunkenness, cursing, and gambling to be wrong. Obviously, times, circumstances, and culture have changed. But God and His Word have not. His Word warns that those who do not respect His will, and who choose to live life according to fleshly desires, will spend eternity in the fires of hell (Revelation 21:8). A genuine Christian is the one who eliminates from daily life the vice and immorality that is characteristic of a society that continually desires to abandon God’s will. Instead of “going along” with such a society, he or she studies the Bible in order to learn how God would have people to live. Only then can one eagerly look forward to the joys of heaven. Chamberlain, R. Edwin (1988), “Gambling: New Treatment Ideas for an Old Addiction,” Professional Counselor, November/December. Charter Hospital of Las Vegas (no date), (Las Vegas, NV: Charter Hospital). Chavira, Richard (1991), “The Rise of Teenage Gambling,” Time, February 25. Frank, M.L., D. Lester, and A. Wexler (1991), “Suicidal Behavior Among Members of Gamblers Anonymous,” Journal of Gambling Studies, 7:249-254. “Indiana Problem Gambling Prevention Plan” (1998), [On-line], URL: http://www.in.gov/fssa/servicemental/gambling/problems.html. Korn, David A. 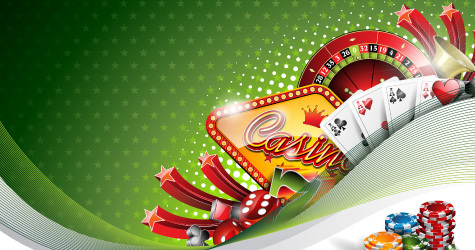 “Expansion of gambling in Canada: implications for health and social policy” (2000), eCMAJ, [On-line], URL: http://www.cmaj.ca/cgi/content/full/163/1/61. Originally printed in the Canadian Medical Association Journal, July 11, 2000;163(1):61-4. Lesieur, H.R. (1993), Understanding Compulsive Gambling (Center City, MN: Hazelden). McCabe, George (1990), “Too Young to Gamble,” Las Vegas Review-Journal, p. 7-D, June 14. Politzer, R.M., J.S. Morrow, and R. Leavey (1985), “Report on the Cost Benefit/Effectiveness of Treatment at the John Hopkins Center for Pathological Gambling,” Journal of Gambling Behavior, :131-142. “Teenage Gambling Addiction” (no date), Texas Council on Problem and Compulsive Gambling (Dallas, TX).